Thanks again to twentysomething Indy and their terrific review of Chartreuse! Confession: I’m not a huge fan of candles. It’s not the the soft light they produce or that they’re a great tool to have when electricity fails us and we’re left to fend like cavemen in the dark. It’s the overpowering smell they can throw off which tends to give me a headache and irritated throat, especially when something sickening sweet like cinnamon apple. That was before I met a Chartreuse candle. 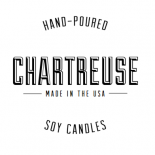 Chartreuse by Annie is a locally made, hand-poured soy candle. The all-natural candles come in a variety of pleasant, unique scents. Owner Annie Orrill passed along the Bergamot + Tobacco + Lemon candle, which she described as as a personal favorite. I can see why. The scent is refreshing and mild, throwing off enough scent to be pleasant but not overpowering me like other candles I’ve experienced. As a small business owner obsessed with product packaging, I couldn’t help but fall in love with the overall presentation once I opened the box. From the candle being housed in a chic, stamped drawstring bag to the cute coupon code card to Annie’s uber-thick business card–everything represented the brand with it’s natural coolness. The candle itself is in a chic white holder with the label applied to the front and will fit in with any decor. Chartreuse will definitely be on my list when it comes to making future gift purchases. Check out the online shoptoday, and enjoy the coupon code “FRIENDS” for 20% off your order! Thank you to Annie of Chartreuse for being a twentysomething Indy sponsor! Want to learn more about how to work with us, check out our Sponsor page or email Sarah at SarahE [at] twentysomethingindy [dot] com. 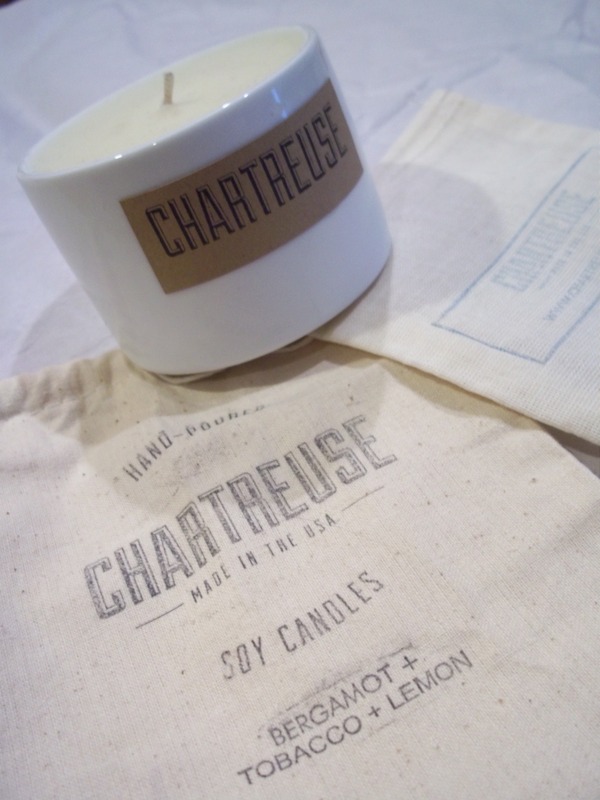 This entry was posted on August 14, 2013 by chartreusecandles and tagged chartreuse by annie, chartreuse candle review, chartreuse soy candles, gift purchases, home decor, natural candles, organic, recycled materials, small business owner, soy candle, soy candles, twentysomething Indy.